I’m not really sure what to call these things. But, suffice it to say that I’ve made a sweater for i-Phone earbuds … mine and my daughter’s, too. The idea came from a photograph somewhere or an article somewhere and I’ve blogged about the process before (here). But, they are quick and easy to knit up if you know how to knit i-cord, and they are really fun to wear and the best part is that they keep your earphone cords from getting impossibly tangled up. This pair, for my Chicago daughter, is a merino and alpaca blend of wool and they are really soft and she liked the neutral gray color. They knitted up in a few hours because the yarn is a worsted weight. I cast on four stitches on my number US 4 short DPNs and knitted to the “Y” split. I added a couple of additional stitches to cover the “Y” (six stitches now) and then put three stitches onto a stitch holder for one side and then continued on the remaining three stitches to the ear bud. I then went back to the stitches on the holder and knitted up to the speaker/volume “bar” (for lack of a better word) where I just knitted on the right side and purled on the wrong side until the bar was covered. Past the bar I just started up with the icord again. I’ve heard a couple of people suggest that you can add a drop or two of glue to hold the stitches down but I’ve chosen to let the sweater creep up because I can also pull it back down if I want to. No big deal. Next (just as soon as I finish the candy) I’m going to paint an Altoids box (and I may line it in glue or decoupage the interior) to keep them in so they don’t get all messed up floating around in my purse. 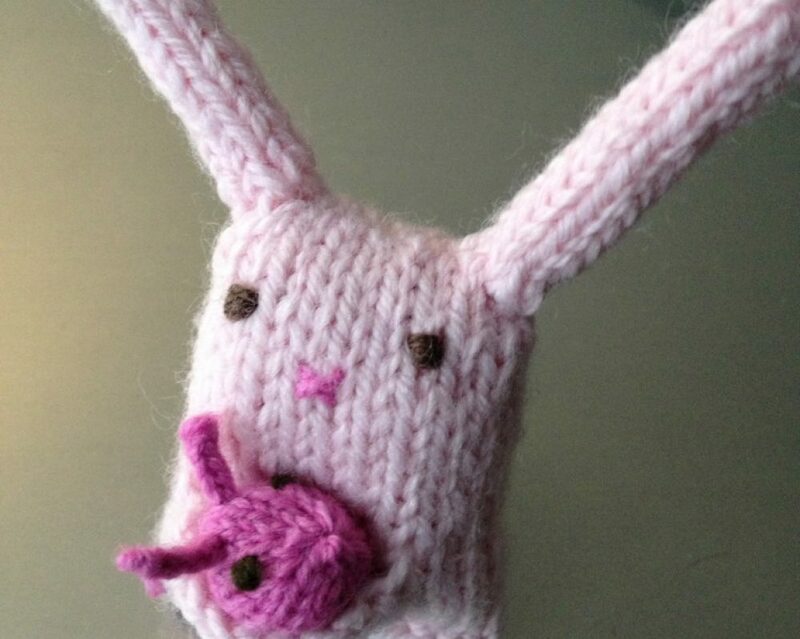 Another great quickie knitting project … I hope she loves them. I sure do love her! This entry was posted in Free Pattern, Knitting and tagged ear buds, icord, iPhone ear buds, knitting, quick knit by lindarockwell3. Bookmark the permalink.